When looking for natural treatments for psoriasis and psoriatic arthritis, cat’s claw is right at the top especially for the treatment of psoriatic arthritis. This woody South American vine is in the world of herbalism a minor medicinal herb but not if you have psoriasis or psoriatic arthritis. Cat’s claw is from the family that also includes gardenia and coffee and it is the inner bark of this herb that is used for natural healing. Some studies have shown that it may be able to treat and prevent heart disease as well as stroke by helping to lower cholesterol and relax the arteries which lowers blood pressure. Cat’s claw is able to boost the immune system by increasing the number of white blood cells which fight infection and stimulates them to fight infection. This herb also helps to increase the levels of certain key immune proteins. This herb can be used to prevent degenerative diseases because of its antioxidant action which prevents free radicals from damaging healthy cells. This herb can be used to treat osteoarthritis and rheumatoid arthritis. This herb’s effects on osteoarthritis and rheumatoid arthritis is one of the reasons that it is the number one herb usually recommended for the treatment of psoriatic arthritis because studies have shown that using this herb led to less pain and fewer swollen joints in those who used this herb for a certain period of time. Besides its pain relieving properties, this herb is also one of the best natural treatments for psoriasis and psoriatic arthritis because of its anti-inflammatory properties. Reducing the levels of inflammation in the body is believed to be able to treat psoriasis and psoriatic arthritis and this herb can do that. Compounds in this herb block the creation of prostaglandins and other hormone-like compounds which cause inflammation in the body. Make a decoction (tea made from roots or bark) by adding 1 teaspoon of powdered bark to a cup of boiling water. After 10 minutes, strain and drink up to 3 cup a day of this decoction. 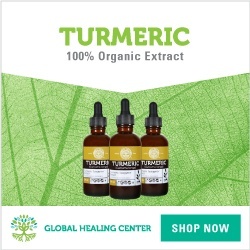 Standardized extracts of this herb are also available and the recommended dose is between 350 to 700 mg per day. When you are using a cat’s claw tincture (alcohol extraction), it is generally recommended to take 1 to 2 teaspoons up to three times a day. For all other commercial preparations, simply follow the package instructions on dose. Pregnant and nursing mothers should avoid this herb. Not to be given to children under the age of two. Anyone over 65 should start with a low dosage and gradually build up if necessary. May cause allergic reactions in some people. If this occurs, stop use or reduce dose. Some people may suffer dizziness, headaches and stomach upset when they use this herb. If looking for the best natural treatments for psoriasis and psoriatic arthritis, you may want to give cat’s claw a try as it may be able to help you. For more on the most effective natural treatments for psoriasis and psoriatic arthritis, you need to get your hands on the holistic guide Psoriasis Revolution which will give you step-by-step guidance on the natural remedies that have worked for many psoriasis sufferers. Find out more about this guide here. Prev Is Psoriasis Fish Therapy An Amazing Natural Treatment?